Love may be what makes the world go ’round, but every February 14, Valentine’s Day has a way of knocking that sentiment right off it’s happy little axis. On this very day that represents love, many of us find ourselves focusing more on hating the day than we do on all the things we have to love in our lives. Loving to hate Valentine’s Day. Based on my very non-scientific research, there appears to be a well defined and much talked about love/hate relationship with this holiday reserved for celebrating love. Those on the hate side of Valentine’s Day use words like hate, loath, and dread to describe their feelings about this holiday of love, roses, chocolates and Cupid. You can read more about what they had to say here, here, here, here, here and here. Well, we think it’s time for you to give V-day and yourself a break from all the hate, and maybe, just maybe, even take a peek at learning to love it just a little. You get a special day every year where you are especially recognized with gifts, cards and parties; why shouldn’t love get it’s own day too? So what do you say? If you’re one of those people who dreads Valentine’s Day, let go of the hate and the negative emotions you like to give to this holiday of love. It’s Valentine’s Day. Accept it, embrace it, make friends with it. I’m pretty sure this day of celebrating love is here to stay, so it’s time for you to change your relationship with it. Come on, you can do it. You get to choose what this day, Valentine’s Day, represents for you. Let it represent love, in whatever way you want to experience it — whether you’re attached, single or oddly somewhere in between. 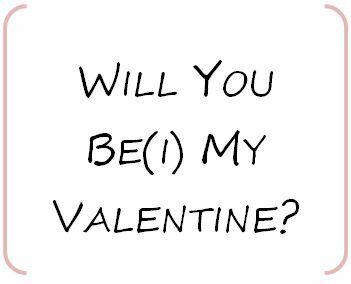 So from my heart to yours, let’s be Valentine’s. Cool?